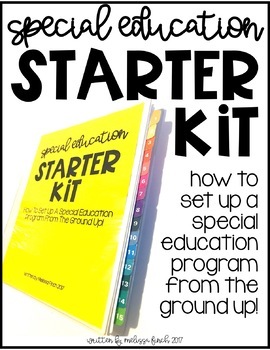 This huge 227 page manual was created to help teachers set up their own special education classrooms. 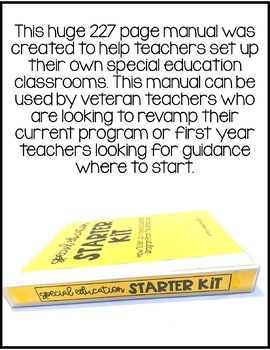 This manual can be used by veteran teachers who are looking to revamp their current program or first year teachers looking for guidance where to start. 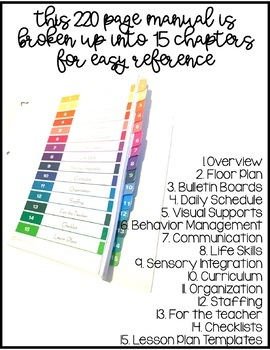 This 227 page manual is broken up into 15 chapters for easy reference. 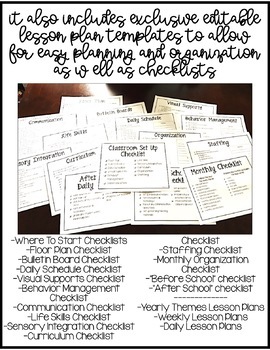 This file is composed of some of my most popular blog posts over the years that have been edited and formatted in a cohesive set up manual.